A successful test flight of an experimental rocket has further cemented South Australia’s place in the international space industry. 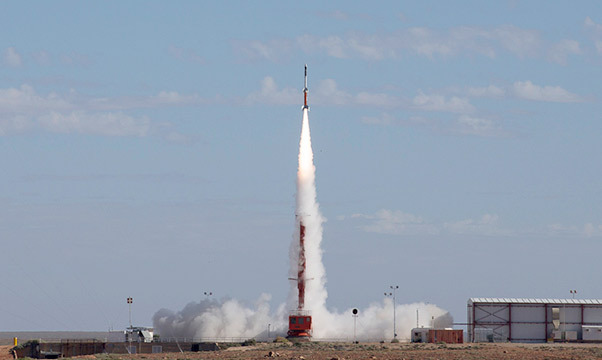 Launched from the Woomera Test Range in the heart of the South Australian outback, the rocket reached an apogee of 278 kilometers, achieving the targeted speed of Mach 7.5 (seven and a half times the speed of sound). 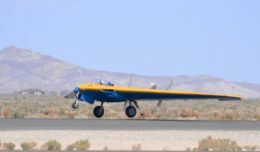 The experimental flight was undertaken as part of a joint research program, HIFiRE (Hypersonic International Flight Research Experimentation Program) being conducted by the Defence Science and Technology Group and the U.S. Air Force Research Laboratory with Boeing and the University of Queensland providing expert technical design and analysis. Australia’s Chief Defence Scientist Dr. Alex Zelinsky congratulated the teams on the launch. “The success of this test launch takes us one step closer to the realisation of hypersonic flight,” Zelinsky said. Hypersonic flight, involving speeds of more than five times the speed of sound, has the potential to provide immense social and economic benefits. Beside the historic test range in the desert at Woomera, South Australia is home to other space industry programs and businesses. Each year space experts from across the world meet at the University of South Australia’s Southern Hemisphere Space Studies Program to discuss challenges and opportunities on offer in the space industry. Speakers included Alex Grant, whose South Australian company Myriota is developing tiny devices to transmit data to and from remote locations, Flavia Tata Nardini, a former European Space Agency propulsion engineer, who founded Launchbox in 2014 to change the way people understood space science, and Brett Burford, the founder of AU Launch Services, an Adelaide-based consulting group that works with CubeSat manufacturers, owners and operators and serves as a single point of contact for clients. Adelaide will also host over 3,000 delegates from around the world at the 68th International Astronautical Congress (IAC) in September 2017. South Australia came out on top of Bremen, Orlando, Istanbul and Dublin to win the rights to hold the IAC. It will be the second time it has been held in Australia.